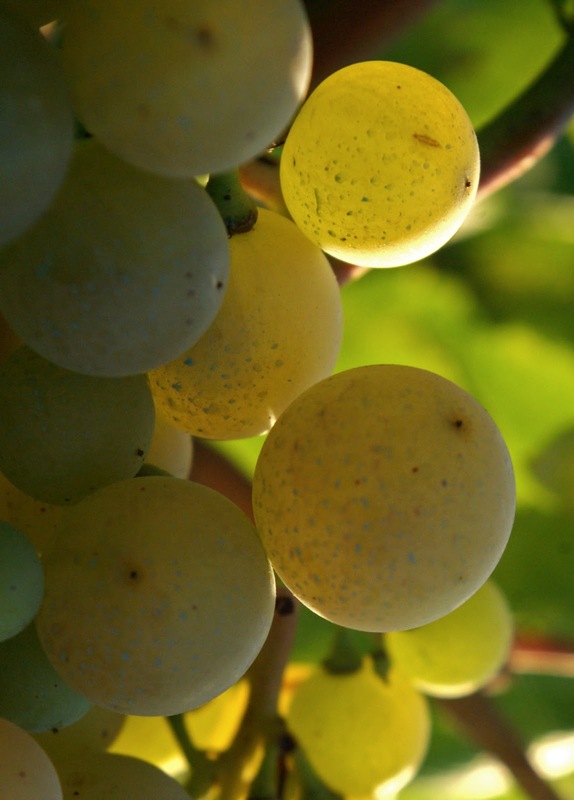 This week, we're looking at a grape that's maintained popularity in Old-World France while also becoming a major player in New-World South Africa: Chenin Blanc! We've used the word 'workhorse' to describe grape varietals in the past (our article on Grenache comes to mind), but it's hard to find a better contender to the title than Chenin blanc. 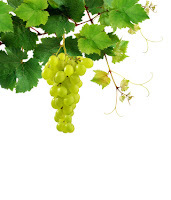 Used in making some of the longest-aging sweet wines as well as dry whites in France, table wines in South Africa, sparkling wines in various regions around the world, and even in fortified wines and spirits, Chenin Blanc is one hardworking grape! So, where do we start? Well, how about Chenin Blanc's homeland: France's Loire valley? Here, Chenin blanc is made in a few different varieties. 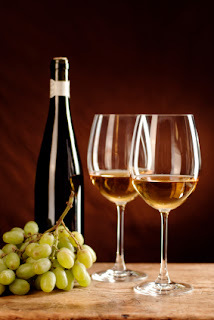 The first, and perhaps most approachable, is in dry, crisp white wines, particularly from the appellation of Anjou. 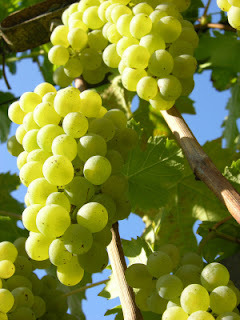 These are usually vinified as 100% Chenin blanc, although occasionally blended with another white grape, such as Chardonnay or Sauvignon Blanc, to add structure. These wines tend to be crisp, light, and refreshing, with notes of honey and flowers on the nose. Slightly to the South-East of Anjou, we find Vouvray, where Chenin Blanc is often used to make slightly sweet (or off-dry) white wines. 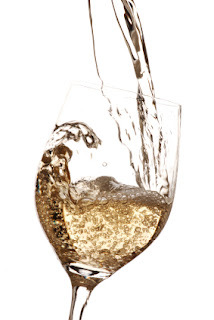 In addition to making dry and off-dry wines, Chenin Blanc is also used in making sparkling wines (crémants) and dessert wines throughout the Loire valley. Leaving the Loire Valley (and France) behind, there is no shortage of regions where we can find Chenin Blanc. It is often used in inexpensive white wine blends in Argentina to make wines that are refreshing and easy-to-drink. 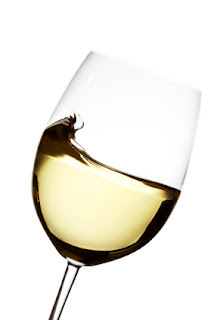 Califronia used to have more Chenin Blanc than France in the 1980s, and, although the state's white wines have since become dominated by Chardonnay, Chenin Blanc is still used in various parts of Califronia's central valley to make ripe, ready-to-drink white blends, as well as some noteworthy single-varietal wines that often display melon aromas. Finally, we arrive in South Africa, perhaps the region most strongly associated with Chenin Blanc today. South African chenin blancs can range in flavours from fruity (such as the melon notes noted earlier) to floral and even herbal. 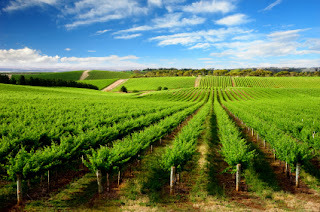 Many South African producers are now also oak-aging their Chenin blancs, causing them to develop butfoie gras, salmon with dill sauce, or quiche. 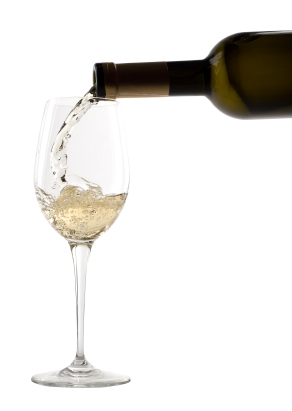 Non-oaked, dry Chenin blanc is great on its own, or paired with a Greek salad or cold cuts. Off-dry Chenin blanc is best paired with slightly spicy dishes, such as mild curries, or a rich dish, such as carrot risotto. Wherever it is planted, Chenin blanc often produces high yields, but ripens late, which can be problematic in cooler climates where snap frosts or (as has happened recently) hailstorms can hit towards the end of summer. 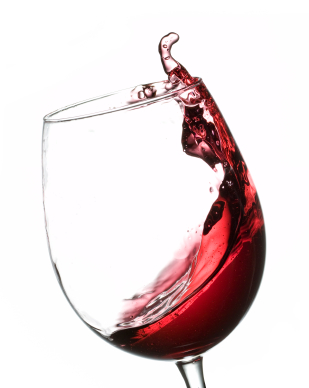 Winemakers must also control yields to avoid producing 'watery' or 'bland' wines. So, this 'workhorse' grape does require quite a bit of work! Because of its popularity around the world, Chenin blanc is an excellent grape for exploring a previously unfamiliar region. 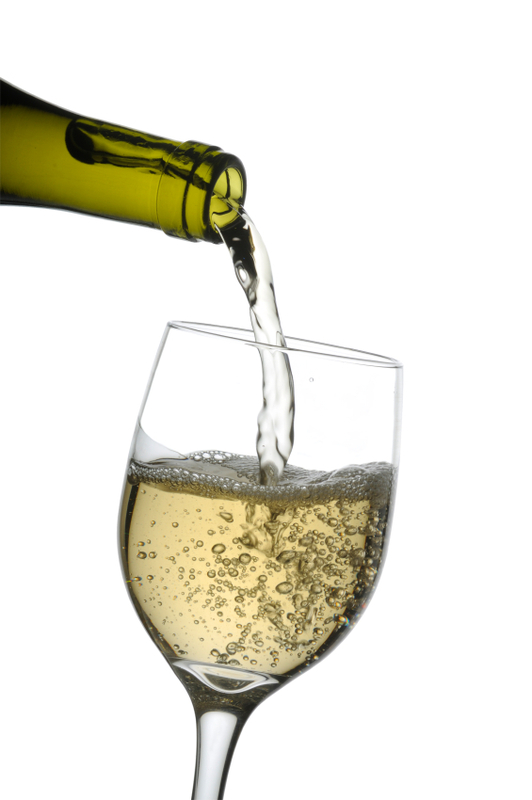 So the next time you're shopping for wine, why not take a look at what sort of Chenin blancs are on offer? Flavour Profile (Dry, Unoaked): Aromas ranging from floral to herbal on the nose, sometimes with notes of honey. Nice crisp acidity. Flavour Profile (Dry, Oaked): Fruity and spicy notes on the nose, with buttery aromas and flavours. Flavour Profile (Off-dry, Unoaked): Aromas of peaches or acacia on the nose, with nice acidity and sweetness on the finish. Food Paring (Dry, Unoaked): Greek salad, cold cuts, bruschetta. This week, we're in the Rhone Valley, looking at a lesser-known, 'peppery' grape: Counoise! 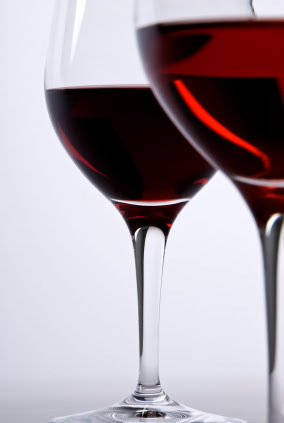 The Rhone Valley is home to some of France's best red blended wines. From the Cotes du Rhone Villages, to the appellations of Ventoux and Gigondas, up to the prestigious plantings of the Chateauneuf-du-Pape, this French region produces world-class Grenache, Syrah, and Mourvedre blends. But Grenache-Syrah-Mourvedre (or 'GSM' for short) aren't the only wines grown in this beautiful region. Indeed, the region also grows some fantastic, if lesser-known grape varietals, such as the soft, 'peppery' Counoise. Counoise (pronounced "Coohn-waaz") is a red grape varietal that has traditionally been used mostly in blends in Cotes du Rhone's most prestigious appellation: the Chateauneuf du Pape. 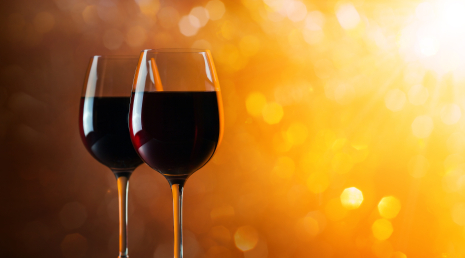 Although not as well-known as Shiraz, Grenache, or even Mourvedre, it is prized by many winemakers for its ability to 'soften' the tannins produced by other red grapes, which makes the wine more approachable and easier to drink. Counoise also adds a trademark 'peppery' or spicy note to blended reds, as well as having flavours of plum or wild raspberries. Counoise grapes tend to ripen late and give off only moderate yields, making them poor value-propositions for winemakers looking to get the most for their space and work. However, its versatility in complimenting the biggest red grapes in the world as well as producing interesting and complex single-varietal wines is unmatched. So, the next time you're looking for something different or picking up a bottle of Chateauneuf-du-Pape for a nice dinner, ask if it's made from Counoise -- if it is, you may be in for a treat! Flavour Profile: Peppery and wild raspberry notes on the nose, with earthy flavours on the palate. 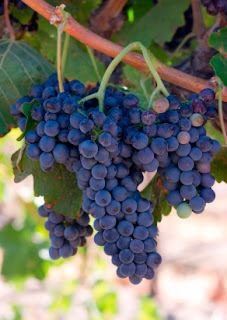 This week, we're taking a look at an Old World grape that's gained a name in the New World -- Malbec! Although Malbec is now probably best-known for making affordable and approachable wines in Chile and Argentina, this black grape varietal was once most-planted in France's prestigious Bordeaux region. Indeed, Malbec continues to serve as an important grape in Bordeaux's Cahors appellation, as well as in parts of Burgundy and the Loire Valley. Mostly, though, it can be found on the lush mountains of South America. South American Malbecs generally exhibit lush, ripe, fruity flavours, with powerful aromas and a smooth, easy-to-drink palate. Conversely, Malbec wines from Cahors (often labelled simply as 'Cahors wine'), traditionally have powerful tannins that require proper aging to soften and 'open up'. Today, however, many Bordeaux winemakers have begun making Cahors wine that is a little bit more approachable, often with notes of plum and chocolate on the nose and a smoother-drinking style. In Cahors, Malbec wines are often grouped into three categories: Tradition, Prestige, and Spéciale, with the complexity, intensity, aging potential, and price increasing as you move across the categories. Outside of Bordeaux, Malbec can also be found in the Loire Valley, where it is known as Cot and is often blended with Cabernet Franc and Gamay to make approachable, inexpensive wines. Malbec is not easy to grow. Indeed, one of the reasons behind its decline in France is likely its sensitivity to frost, mildew, and rot. 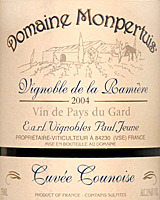 In this, it is similar to Merlot, but often produces smaller yields and less complex wines. 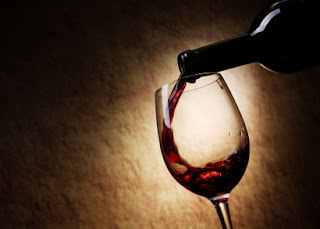 Perhaps that is why most of Bordeaux has moved to a Merlot, Cabernet Sauvignon and Cabernet Franc blends. However, no matter what it's origins, a good Malbec can serve as a great, easy-to-drink wine that pairs very well with a variety of foods. For South American Malbec, open with lamb shanks, pulled pork or BBQ ribs. If you've got a Malbec from Cahors or elsewhere in Bordeaux, try it with beef stew, blue cheese, or a new juicy steak. Better yet, grab a bottle of Malbec from Argentina and one from France and see the variety of wine that this grape can produce! Flavour Profile (Old World): Intense nose, sometimes of plum or chocolate, with strong tannins and complexity.